Home » Stone » Lueders, Buff R.B. 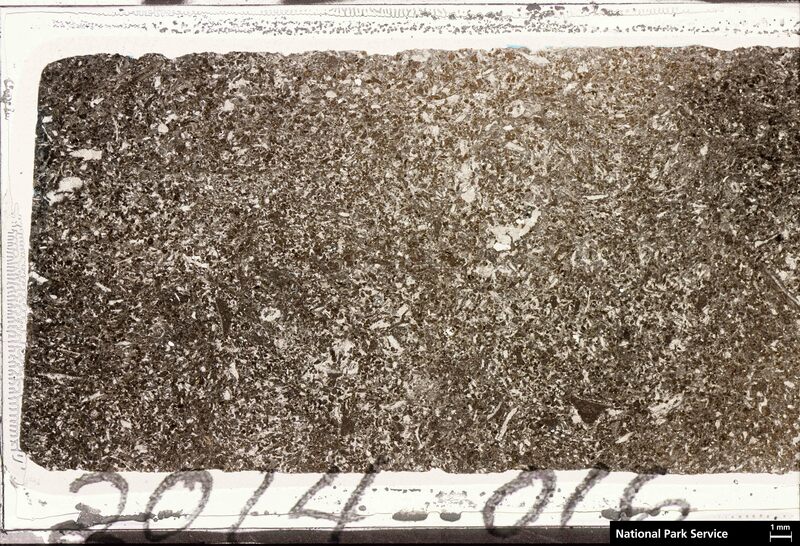 This specimen is a fossiliferous limestone. 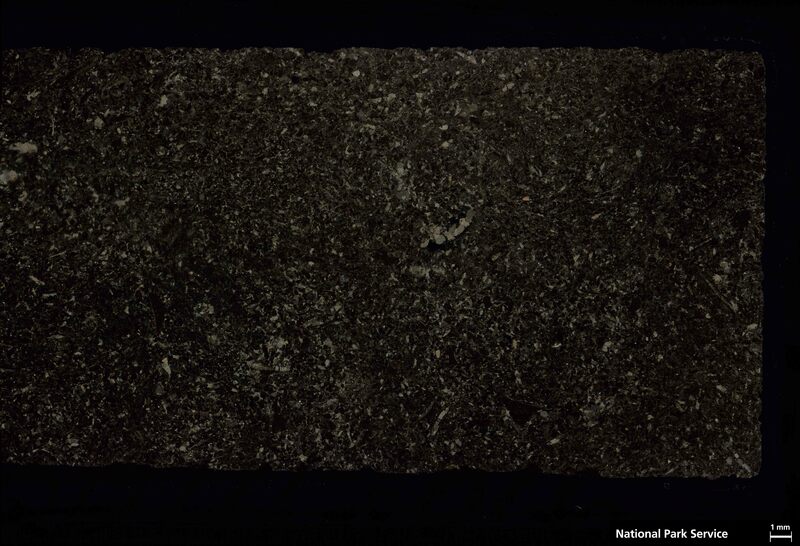 The limestone is grain supported with a predominantly sparite cement matrix, but micrite is locally abundant. 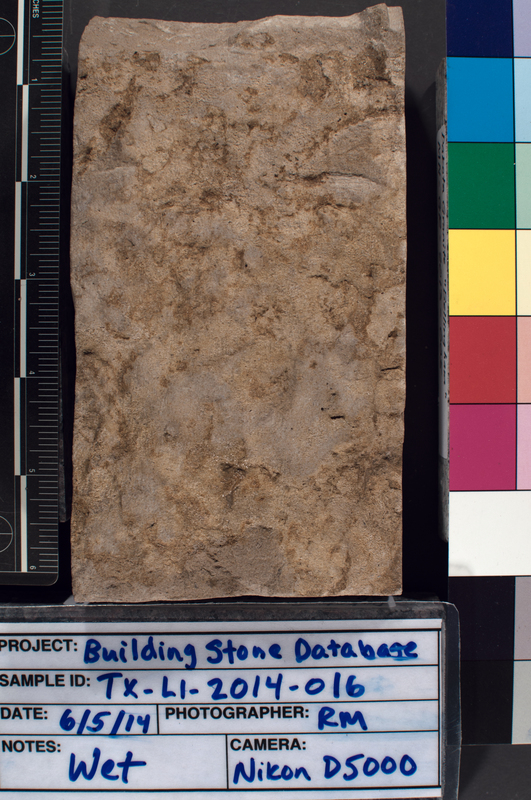 These criteria define the limestone as a grainstone, although some variation in texture occurs across the slide. Allochems comprise around 70 percent of slide area. Allochem composition is about 80 percent peloid. Some of these peloids may actually be intraclasts. The remaining 20 percent is composed of diverse bioclasts. 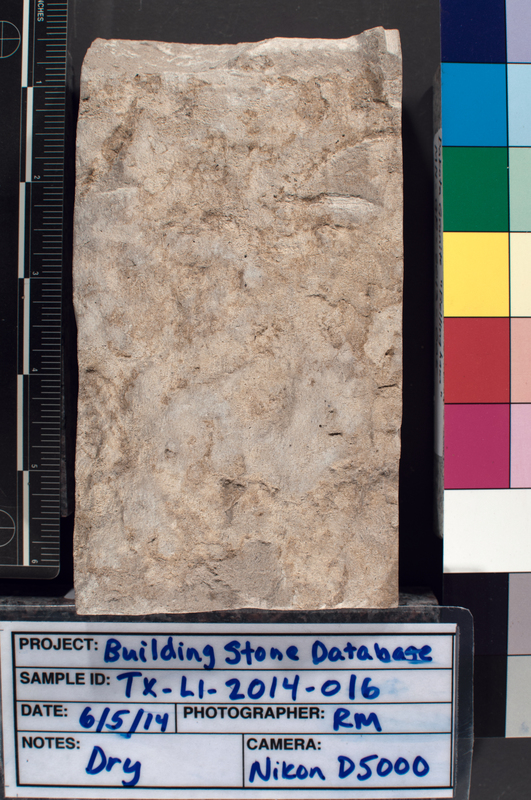 These estimates and degree of sorting characterize the limestone as a poorly washed pelsparite. Mollusk species predominate, including univalve and bivalve. Foraminifera, calcispheres and possibly other algae species are also present. Maximum dimensions for bioclasts are as follows: bivalve 2.5 mm, univalve 1.5 mm, calcispheres .25 mm, and foraminifera .6 mm. Calcispheres are often filled with druzy sparite and retain some void space. There is a significant range in peloid size, the maximum size is indistinct due to locally abundant micrite, the minimum is .04, most are between .2 and .4 mm. The size range of most peloids suggest a faecal origin. The slide also contains rare authigenic quartz, far less than 1 percent of slide area, with a maximum dimension of .1 mm. Most quartz grains are .04 to .08 mm in size. One collophane fragment of presumably biological origin was noted. Staining from iron hydroxides (limonite) is fairly common and imparts a yellowish color to the hand sample. Extant voids are very rare except for occasional interparticle examples. The degree of allochem preservation suggests relatively minimal compaction prior to lithification.